Suggested Use: 1 tablet 3 times per day or as directed by a health care professional. Calcium is an essential mineral used by the body to make structural material for bones and teeth, and to assist in communications within and between cells. Orotate is a raw material that the body uses to make DNA. The optimum dietary calcium intake for humans ranges from about 400 to 1500 mg/day depending upon age — an amount that most people fail to get. neurological problems, such as chronic overeating and glum moods. Accordingly, we will limit our discussion of calcium orotate to a brief summary of relevant research, and let you draw your own conclusions about what medical conditions it may be effective in treating. Nieper was a controversial figure whose treatments were denounced by many in the medical profession and were targeted by the U.S. Food and Drug Administration — despite the fact that these critics had done essentially no investigation of these treatments, and despite the fact that countless thousands of Nieper’s patients and followers found the treatments to be superbly effective.5 Nieper died in 1998, but his influence lives on. Other researchers have also studied some of the medical applications of calcium ororate. Let’s look briefly at these applications. The element boron has been shown to be important for preventing calcium loss from bones.13 But dietary boron intakes vary widely among different individuals,15 and average around 2 mg/day14 — whereas 3 to 10 mg/day seems to be indicated for maintaining bones and joints.16 Calcium supplements should therefore include boron to improve the calcium’s bioavailability. 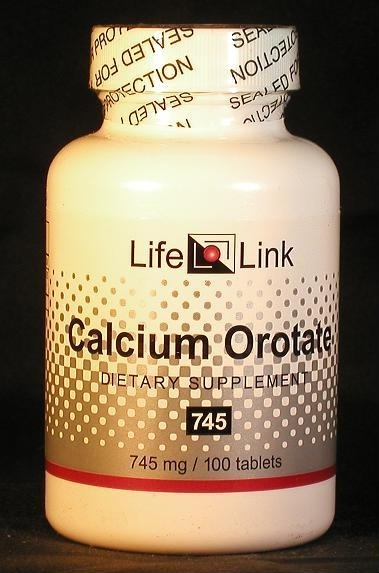 Are calcium orotate supplements useful for the conditions and purposes mentioned above? We aren’t allowed to tell you, so you should take a look at some of the references cited here, and then decide for yourself.